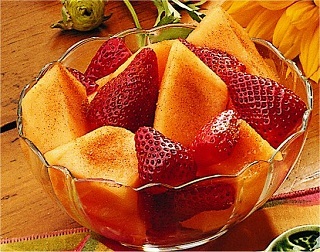 Place fruit in serving bowl. Combine the sugar and cinnamon sprinkle over fruit and toss gently. Refrigerate until serving.